I used to have a 5.1 THX certified Logitech 5300Z sound system. 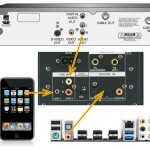 Sound great, but some inconveniences related to analog 5.1 audio systems: extra wiring for rear speakers, only one audio source, huge subwoofer, lack of digital connectivity. I sold it with intention to buy Logitech Z-5500 that has digital inputs. Besides the fact that the last has digital input, still the same disadvantages and a huge price. Because I am not a gamer, I realized that a Studio Monitor Speaker (http://en.wikipedia.org/wiki/Studio_monitor) will provide a sound quality without compromise at the lowest possible price. Those are the smallest speakers used by professionals and in the same time has enough juice for an apartment room. M-Audio Compact Monitor Speakers (AV30) it is the extreme low cost solution as analog Studio Monitor. I finally chose MA-15D by Roland for following reasons: 2 input mixers, 1 digital input (SPDIF coaxial & optical) and 1 analog input (2x RCA + 1x 3.5mm jack). IMPORTANT NOTE: Use the following informations on your own risk. I try to describe my personal experience the best as I can, however the results are not guaranteed and I am not responsible for any hardware or software  damage or loss of money or productivity. The MA-15D stereo reference monitors are ideal for computer-based recording artists seeking a high-quality, powerful set of reference speakers to use in a relatively confined space. The MA-15Ds offer a wide-range spectrum and crystal-clear audio reproduction. 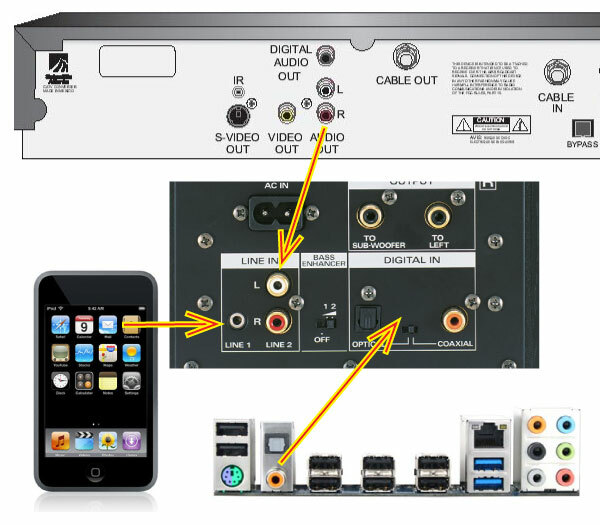 As you can see in the picture I use 1/8″ Line 1 for ipod, when I need to listen music in silence, P55A-UD3 Motherboard connected via optical/coaxial cable (check selector switch), audio out from Videotron Explorer 3200 via standard RCA audio cable. If you have Apple Keyboard with F10, F11, F12 keys mapped for volume control, there are useless if you select SPDIF output. 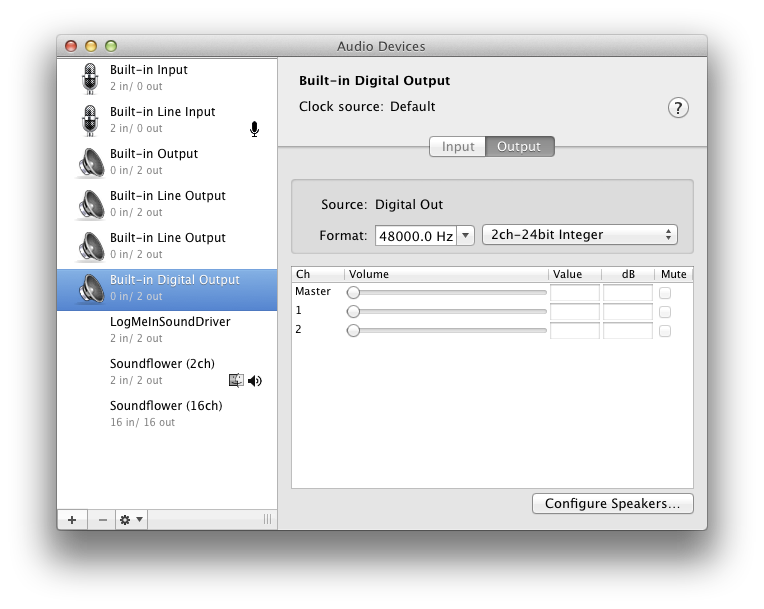 However you can adjust the volume individually per application. The major problem here is that Preview application volume is based on master system volume. 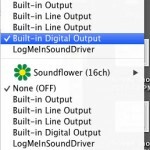 The best work around to fix master volume and keyboard shortcuts (F10, F11, F12) with SPDIF output is to route applications output through Soundflower than to SPDIF. If you have Apple computer, skip this step. 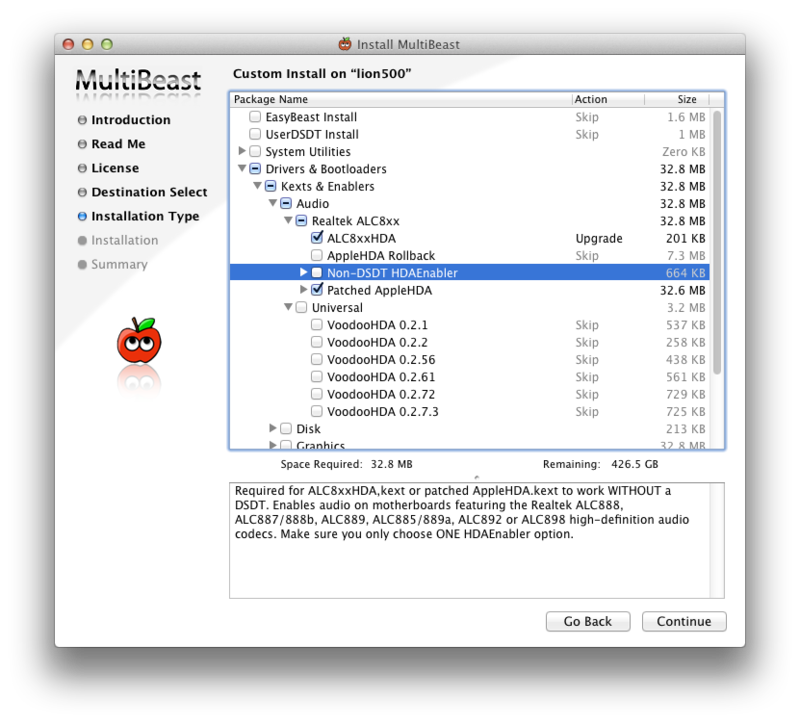 If you have like me a Realtek HDA8xx based sound card use MultiBeast in order to install the proper driver. IMPORTANT NOTE: Use the following advices on your own risk. Always do appropriate back-up before any major software changes and make sure you know how to put everything back. 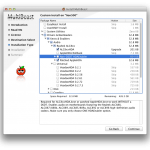 In System/Library/Extensions remove AppleHDA.kext and all kexts that reffer a HDA device. Also remove any voodoohda kexts. 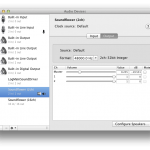 Make sure not to remove other kexts than audio driver related. Run MultiBeast and install ALC8xxHDA driver. Download Sound Flower from http://code.google.com/p/soundflower/downloads/list and install the package. 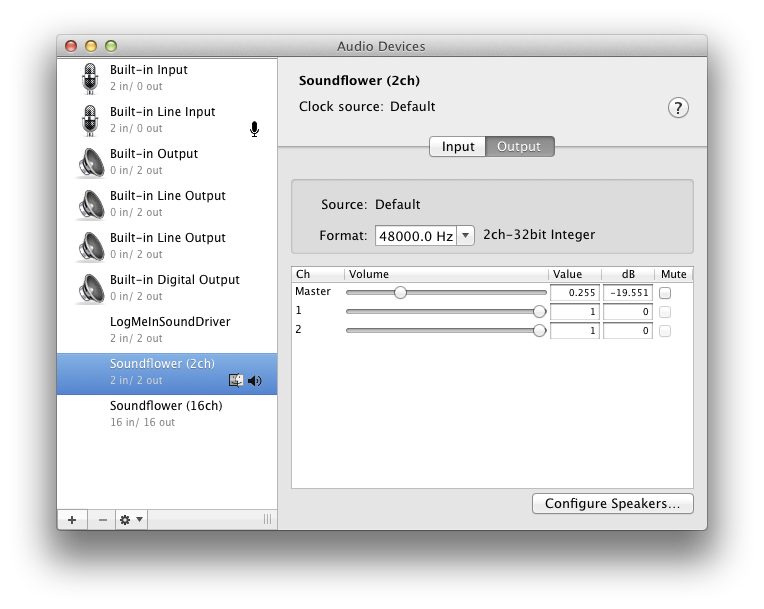 In Soundflower setting set the output as Built-in Digital output. 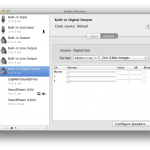 Now the master volume and volume keyboard shortcuts should work fine. 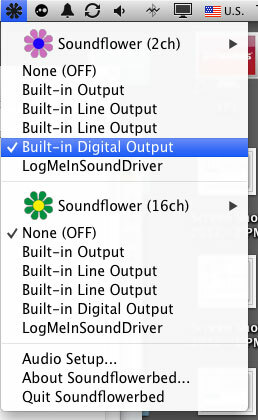 Known issues: if mute or no sound for a long time, Soundflower enter in a kind of saving power mode, just click on any output and again on Digital Output and everything is working again. If you have a solution for this, please leave a comment with solution.